AN ENERGY expert has challenged the United Party for National Development (UPND’s) energy policy, claiming that point four of the UPND’s 10-point plan does not offer anything newer than what Government is currently grappling with. Energy Forum Zambia chairperson Johnstone Chikwanda stated that the challenges being faced in the energy sector across the African continent including Zambia have come about due to lack of investment in the sector over a long period of time. “The dichotomous challenge involves low tariffs and lack of adequate new investment. The challenges we face in the African energy sector are so huge that most of them require regional integration efforts,” said Chikwanda. Mr. Chikwanda noted with concern the failure of the UPND policy to talk about oil and gas exploration in Zambia and what incentives they will offer to investors so as to accentuate investment and development of gas fields in Zambia. “Mr. Hichilema said nothing new in his point number 4 to spur new differentiated hope for improving the energy sector of Zambia and the region as a whole. The root of the challenge is low tariffs and not absence of a willing private sector investor,” said the energy expert. On 21st May, 2016, the UPND launched its official campaign at a rally in Kitwe where Mr. Hichilema said that he would talk to his friends in the private sector to build power stations which will sell power to ZESCO. Mr Chikwanda said the issue of energy ‘‘has been driving global politics and it is paramount that political parties in government and especially those in opposition try hard to distinguish themselves and offer clearly cut and well differentiated solutions to drive the energy sector going forward’’. Commenting on renewable energy policy, as stated by the UPND, Mr Chikwanda advised the opposition party to be cautious as only a certain quantity of solar energy could be integrated into an electricity grid from a technical point of view. “It is very unlikely that the Zambian electricity grid can be integrated with more than 300MW of intermittent power,” he said. I LOVE YOUR ARGUMENT MR. CHIKWANDA THAT UPND NEEDS TO PUT A DELIBERATE POLICY IN PLACE FOR ZAMBIA TO EXPLORE ON POSSIBLE OIL AND GAS DEPOSITS IN OUR COUNTRY. ONE SURE THING IS THAT KWABULOZI BAROTSE LAND OR WESTERN PROVINCE IF YOU LIKE HAS A LOT OF OIL DEPOSITS AS WELL AS DIAMOND ROCK! Mr Chikwanda you have tried very hard to water down the 4th point plan in HH ‘s manifesto but you have failed to point out the weakness. Two people can be given the same formular but the other will find the solution while the other will fail. So take consideration of personal difference in the caliber of HH and lungu. HH knows what he is talking about as an entrepreneur. Kenya have not intergrated but have used the same policies to create enough power.HH will fix believe me. So what makes this chikwanda idio.t an energy expert? does sitting on the indeni or erb boards make one an expert? I DON’T THINK SO! Chikwanda’s argument is wrong. There’s no point increasing tariffs as Lungu did in January when there is no guarantee of power being available. We are still having 10 hour powercuts despite 2 months of a 400% electricity tariff increase. Also he is completely ignorant of large scale solar energy storage systems being tried out using molten salt that can produce electricity at night. Finally, lack of exploration for oil and gas is not about lack of incentives. It is about the quality of those numbers of these exploration permits. This is the same story as in emeralds. These permit holders are not serious explorers but are instead ground hoggers waiting to be bought out. I challenge Chikwanda to comment on his paymasters’ performance on power since 2011. Imwe fyonse ni WE SHALL FIX IT. Is it because it is the simplest terminology? Running a country and cattle rearing are poles apart, they cannot mix. Menshi na oil. Johnstone – Do not worry about any of the bloggers condemning your attack on the energy policy of UPND as outlined in their manifesto – none of them understands your last point, “It is very unlikely that the Zambian electricity grid can be integrated with more than 300MW of intermittent power”. Hello Ndobo, how are you? Busy with campaigns? I am busy helping out Canicius to formulate 10 points into 10 ministries. Mr Johnstone Chikwanda, just tell the truth. Which party CANCELLED the Lower Kafue project immediately they came into power? If PF had not been so ignorant and dull it would have been completed and producing power now. This dull drunkard even went to “commision” it AGAIN two months ago. That is a simple admission of INCOMPETENCE! The problem with the so-called Energy Expert Mr Chikeswa is he only reads materials or documents which do not matter.It was only last week that President Kenyatta was boasting that Kenya has no power problems as the country has worked well with the private sector who produce about 30% of the total power output in that country. This is exactly that HH is talking about Mr Chikwanda. HH has even gone further by saying there is need to look at power production, transmission and distribution among other options to make ZESCO efficient. One does not need an expert in power to make things right Chikwanda . Is this the same Chikwanda who conspired with some Pastor to bribe a Post journalist? That’s how low the standards have fallen in my beloved country; documented crooks are now energy analysts. He is a brilliant boy though (used to be my young brother’s class mate at Sec sch.). I hope he is non-partisan. I agree. But then the fact is that ideas are already available. What Zambians are looking for is someone who can implement. It is clearly not fair to disqualify HH on his plans. Implementation of investments in the energy sector is a long term plan that require decades of pumping adequate resources in the energy sector. It can not just happen over night and expect results to be yielded. It takes not only the Government to invest in this sector but also the private sector. Unfortunately all these years the previous administrations have ignored investing in the energy sector have been blamed on ECL, who has held the highest office of the land for a year and some months. This is not to defend him but he is in the right track in offering solutions to energy problems in this country because we have seem a range of investments in this sector. Desperation to get power will cause someone to commit so many blunders as we counting down to this year’s elections. Why is the Forum only focusing on the UPND manifesto. They should do a comparative analysis of what all the parties are saying regarding the energy sector. They should also tell us the criteria they are using to rate the feasibility of the proposals by all the parties on how to strengthen the sector. It is because ECL has nothing to offer for the future! PF is already implementing their plans and physical or tangible things are visible. hh always I will, Fix this, good management, value linkages etc bla bla bla bla. we hope in the three months before August 11, we will hear the HOW HE WILL FIX THINGS. WE ARE TIRED OF CLAIMING OF WHAT YOU ARE NOT CAPABLE. Chikwanda is simply concerned with the SIMPLISTIC APPROACH AND VIEW OF DEVELOPMENT BY upnd. The game if ecl is implementing how come we are not seing an change.in less two yrs Kenyata of Kenya has results to bost off were energy is concerned.ECL is a lazy bum period. It is scandalous to do roads at US$2 000 000 per km instead of US$470 000 per km! Great advice. Look at the comments supporting UPND and not questioning anything. Just like PF cadres you are all sheep. Energy needs great investment in Zambia. What a stupid article. How about PF MMDor FDD?Why single out UPND. These are the same people who talk of ending load shedding after 5 years but PF Sontapo team has already mobilized resources and investment to sort out the power problem by end of 2017 to early 2018, less than 2 years. Why change a winning team? Mr chikwanda is right on how much power generated from solar can be integrated onto the grid because of the cost involved in filtering the high harmonics which come with it. The whole of Portugal now runs on renewable energy for 7 hours per day… what this so called energy expert is saying is total rubbish. Thats the problem of so called experts who live in Ndola with no exposure. How did you become an energy expert? Chikwanda you should explain why the pf have not implemented your strategy on energy. Your advice to pf has not yielded anything at all so you’re in no capacity to advice us in UPND. By the way, we’re not in control of regional integration, but we still need a plan which falls within our control limits. Talking of explorations in oil and gas, care should be taken as research and development costs are SUNK costs to the extent that our undernourished economy can not afford experimental management strategies when people need to eat today. If UPND took over from MWANAWASA by now such projects could have commenced. The problem with arguments forked in tribalism do deliver. Tongas will never see flaws in hh simply because to them it is a tongas time. But what you are forgetting is that hh is losing and another easterner or bemba will emerge. Stop talking about Mwanawasa. He did nothing apart from failed corruption fight. Just because he persecuted FTJ does not make him good president. Now tell us what policy has the 2016 most incompetent and idio.tic president of the millennium Edgar chakolwa kaloba Wrungu has put in place. Its good they have said something on The energy sector than this Edgar chakolwa kaloba Wrungu whose policy is still in Dubai waiting to be printed nothing sensible comes from him. @Kudos is irritating.UPND and HH are an stoppable as at this present moment.So start adjusting HH will be president come Augast. The guy Scot led cartel which floated kaseba as Pf presidential candidate when the late satas body was still chilling in the mortual is at it again and this time in the chuundu party. A presidential running mate is becomes president immediately the president passes on. And these are the plans for fielding kaseba so that the plunderes can bounce back again. HH your days are numbered. Watch your life under5. yes we can not alow Lungu who was rescued from the jaws of poverty a chancer to ruin this great country of 73 tribes.We Zambians we shall remove him the same way we did with Rupiah.We can not be ruled by Rupiah again. Imwe fyonse ni WE SHALL FIX IT. Running a country and cattle rearing are poles apart, they can’t mix. Menshi na oil. UPND’s Energy policy is flawed…they talk about how they will attract investment but omit the elephant in the room which increment in tarrifs. Even Zesco recently obtained a $Us60m loan from Barclays i bet you the reassures they gave the bank was that they will have cost reflective tarrifs after 12 th August irrespect…. of who is in power. What else do you expect from Chikwanda…….the name says it all. Mr. Chikwanda, it’s not the sophisticated plan that always works. The plan by UPND may look simplistic, but you will be surprised that nature also works in that way. The simpler it is, the more likely it is to work. Implementation is also something that the present government is not good at. HH has a track record of making things work. I think that is where we can bank our confidence in him and team. PF can have good policies but they have failed because of corruption. Lets try UPND. Mr Energy expert is a QUACK. Where has this thing of low tarrifs come from. Is it not comparable to affordability. Of what use is plenty of electricity which is out of reach of the majority? The government should invest massively in energy and maintain low tarrifs. These low tarrifs WILL ATTRACT manufacturing companies to set up in Zambia instead of other countries. This is called COMPETITIVE LEVERAGE. These firms will create long term jobs which will increase GDP as well as tax revenues instead of hiking tarrifs so that one or two companies can come and make a killing from underpaid poor Zambians. If HH surely cares about Zambia, why not talk to those friends of his before even getting to plot 1. then maybe he can use that as a campaign tool saying that he brought the necessary changes to the energy sector. You must be a patriot before you can aspire to be in plot 1. Patriotism should start after one becomes president. What do you think General Miyanda? Patriotism should NOT start after one becomes president. Listen imwe ba UPND, on 11 August 2016, we are just going to the polling stations for formalities, President Lungu won these elections along time ago and your rantings, insults, hate speech wont change a thing. This time around, those mega rallies will be translated into real votes for ECL ’cause we havent forgotten what you did to us in January 2015. 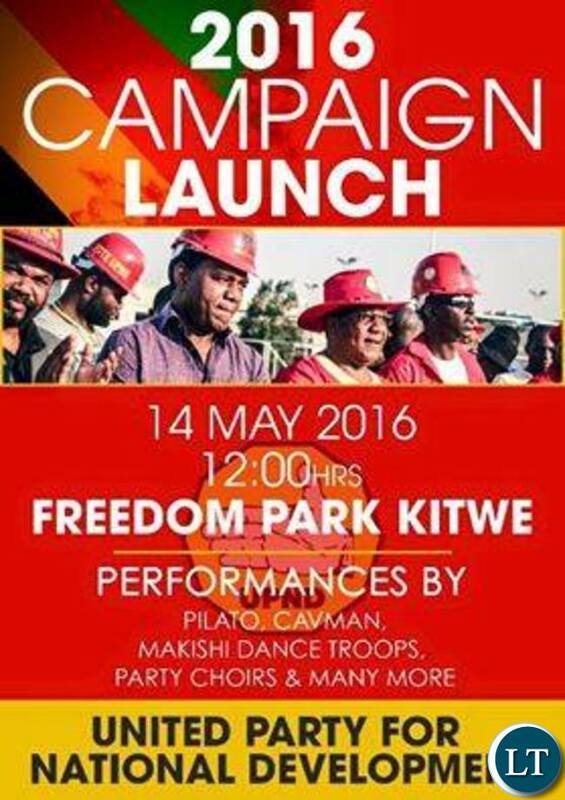 Just to give you some hint, ahich chaps are now in the forefront of you ka party called UPND? Are they not the the rejects from PF? Where are you old guard d0gs today? Why have they been overshadowed by the likes of Scott, Kaseba, Mulenga Sata, Miles Sampa, Bob Siching and Masebo? Dont you see that we the owners of Zambia know who these criminals are and expect us to vote for the lost and desperate Kachema? What Chikwanda and Observer are saying is right, anybody who claims to be engineer should see the sense in what these two are saying. It’s not enough just to say ”the whole of Portugal runs on renewable energy for 7 hours a day…..what this so called energy expert is saying is rubbish” .Mmmmm! Can you explain to us how this is achievable since you seem to know better, which I very much doubt. Unless you understand the harmonics and fourier series involved in power intergration, you better keep quiet. Sometimes its wiser to keep quiet on issues you least understand than bragging out of ignorance and insulting those who know. Chikwanda’s point is theoretical based on IMF’s view that tariffs are low in Zambia & that discourages private investors. The problem is our inadequate domestic laws, earning power for citizens and residents & lack of commercial operations culture to provide for preferential provisions in the running of all business ventures & govt but not only the energy sector, which Investors are wary of. You can increase the tariffs by 1,000%, but are you going to compel everyone to buy by panga or air (force) or legally or if consumers including GRZ default to pay due to earning power mainly, is it court or panga relief one has to rely on? For example motor manufacturer may like to set up plant in Zambia, but is he protected by law to continued business sustainability, for how many years can a consumer use the acquired new car, is it 2 or 3 or 5 years or forever depriving the manufacturer of continued business revenue? Will TAZARA or ZRL make business when everyone is using wheelbarrow to transport his / her mechandise or using chimbwi or charm for transport or bird as flight? All countries have got trade in, remortgaging laws & policies, which all Zambian political parties have never heard of & can’t think of. Even our constitution doesn’t assure an investor of stability. How many presidential elections can you have in a term in case the president is incapacitated, is it 1, 2, 3, 4 or 10? Each change of govt brings with itself different policies & these may not be desirable in mid-term e.g. 1991 & 2011 both came mid term. The constitution should be amended to ensure continuity to investors because each new govt which comes affect both local & foreign investors positively or negatively e.g. rebasing of kwacha in 2012/2013. I have also said it, HH has not offering anything new. Policies can be the same but implementation matters also. Is Chikwanda trying to persuade us not to vote for UPND because it will continue with 10% of PF’s methods? If he is then he is a fool. Is this Chikwanda asking us not to vote for UPND because it will continue with 10% of what PF is doing? If he is then how did he manage to become an expert in something? @ Kudos, your blogs make a lot of sense. I and many others have enjoyed reading your material but other blogs are pathetic and a share waste of time. Upnd , GBM and HH have said that there is no issue if GBM is not made running mate but Kaseba. Yes they know what they are talking about and Mmembe of the Post hinted at it in his editorials last week. The secret is that HH probably promised GBM guaranteed large government tenders like oil supply, medical supplies, uniforms and mealie meal to the security forces. And a daughter as MP. Rememember mentioned part of the secret when he called HH and GBM tenderpreneurs. Otherwise what do you think can stop GBM s political ambitions to accept Kaseba as his boss? Although I still suspect that today Kaseba will appoint HH as her running and not the other way round. I think that suilts HH more than presidency so that he can gain some experience. He is too naive or ignorant or both. There is nothing new that any Party will talk about, especially that almost everything we want to achieve as a country has already been achieved in countries with competent leadership! We are just copying almost everything. What is probably more important is ability to competently implement what is intended! PF has no capacity to competently implement anything! Which team is there in PF? Just look at the key guys in PF (Kambwili, Yaluma, etc)! Look at the mess they have created in our economy. Even roads which should have cost US$470 000 per km, they have been doing them at US$2 000 000 per km without shame! I have not had a chance to look at the UPND’s Energy Policy but I am sure that such issues should not be debated through the media. Mr Chikanda, you should gone to the President of UPND and sat down with looked at the policy point by point. I guess everyone who is reading this article thinks or knows which way you will vote or are campaigning. Zambia has a high potential for renewable energy investment (Solar Power, Mini Hydro Power, Off Grid, Bio Mass, etc). The World Bank is working with IDC on a Scaling Solar Project for 600MW. I am wondering how you are able to say that Zambia can not integrated more than 300MW when the whole of the World Bank (with global resources) says otherwise. Are your really an energy expert of a politician? A party with frustrated and angry people, all they do is insult anyone who questions their thinking and beliefs. They do not want to accept reality and they prefer to live in a world of fantasy and illusions, day dreaming day in day out thinking they have the best ideas and that its only their tribe that should lead mother Zambia. All of these leaders get into office to do the same things but when you find that the incumbent has already done it the better way then you end up with NOTHING NEW TO OFFER. Looking at what PF is doing, I am convinced that the opposition can not march them. Just to mention, the hole town came to a stand still an hour ago when ba MWINE passed through town to say hallo to the voters. Now that nominations are over would it be abnormal for me to petition the ECZ to hold the elections earlier than August. We do not need too much time wasting, we have work that needs to be done without interference of these campaign activities. Be fair The power deficit did not start with Lungu. Unless HH has bribed the Zesco management his rantings will not stop the problem as soon is he’s promising.